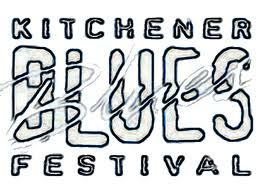 If all has gone as planned, then I am in Kitchener, Ontario right now for the Kitchener Blues Festival. I love, love, love listening to live music: the tunes, the excitement, the ambiance, the enthusiastic crowds, everything. 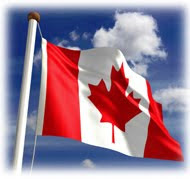 First, I had planned my trip to Canada to go to Kingston (hometown) to see my parents, and then found out that my daughter, son-in-law and grandson were flying in from Calgary to go to a couple of weddings. Bonus. Then, I realized that my trip would coincide with the Blues Festival. Another bonus, as I could go there first before heading to Kingston. Then, I found out that one of my favourite (Canadian spelling - I'm in Canada!!) bands was playing. I'm going to listen to Delta Moon tonight. I haven't heard them for three years. Here's a clip from when they played the Kennedy Center. This knitter has her priorities. My hotel is not only walking distance from the Festival fun, but also walking distance to a yarn shop, Yarn Indulgences. I'm heading over there this morning. I need to find a ball of yarn to add another block to my travel afghan. I'll blog about it when I get back home. By the way, I didn't bring my laptop with me on this trip, but I have written and scheduled posts for the time I'm away, so I hope that you'll check back. Have a good day ~ Bonne journée!